The Chevy Traverse made its debut back at the 2008 Chicago Auto Show, and the vehicle arrived at dealership’s lots several months later. Predictably, the brand was rather excited about their new crossover SUV, with executives touting all of the amenities and capabilities the vehicle was expected to deliver. Eight years later, the aesthetics of the vehicle may not necessarily be “unexpected” anymore. However, the vehicle is still accompanied by that affordable price tag, and the vehicle is still as stylish as ever. 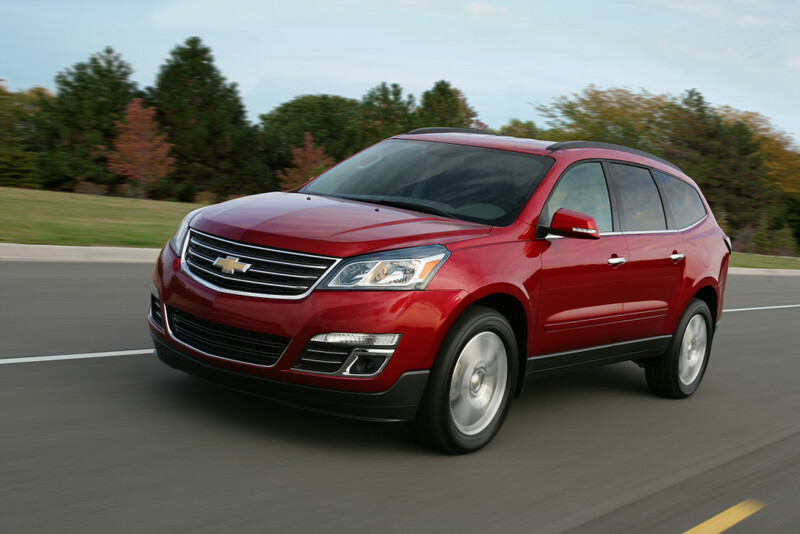 The Traverse isn’t as boxy as other SUVs, with the rounded design helping to give the vehicle more of an elegant look. The two front grilles help accentuate the vehicles height, while the long wheelbase helps confirm the sportiness of the SUV. 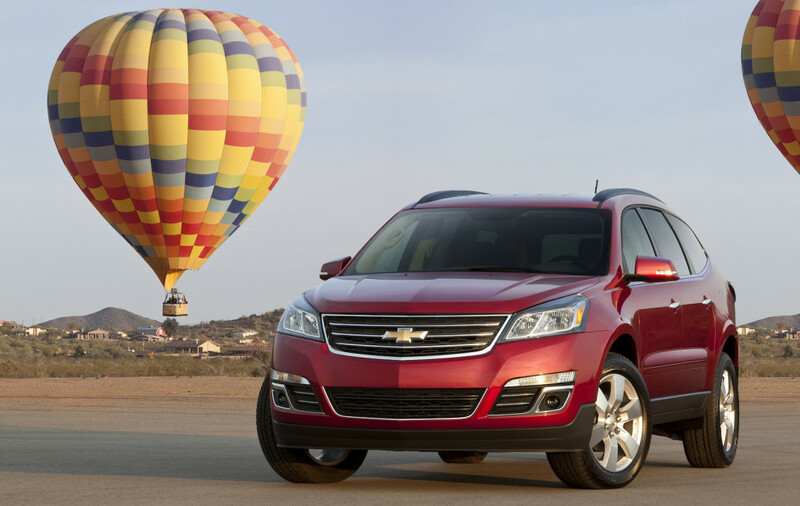 To put it simply, the Traverse is what customers imagine when they think of their ideal SUV. While Burton may not have necessarily been talking about the interior, the Traverse’s cabin is just as stylish as the exterior. The upholstery options are comfortable and soft, so passengers will find it relatively easy to nap. 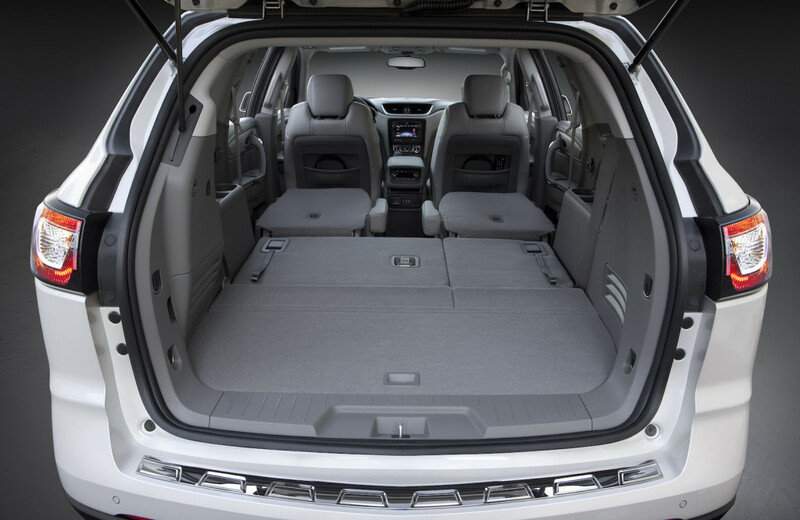 Plus, with enough seating for eight passengers, the Traverse’s occupants should have plenty of room to spread out and relax. Thanks to the inclusion of the heated/cooled seats and the tri-zone climate control, occupants are truly looking at an optimal traveling experience. Peper noted the “class-leading” cargo space during the introduction of the Traverse in 2008, and that attribute has stuck with the nameplate to this day. The 24.4-cubic-feet of space behind the third row is certainly appreciated, but drivers are mostly enamored by the 116.3-cubic-feet of maximum cargo space. If there’s one feature of the Chevy Traverse that has lasted throughout the vehicle’s seven-year run, it’s definitely the interior dimensions. However, Chevy has revamped how drivers can access this cargo. The Smart Slide second-row seating allows for easy access to the third row, so passengers won’t have to struggle over seats to get to that cooler at the back of the SUV. To put it over the top, the power-remote liftgate makes loading or unloading that cargo an absolute breeze. This statement proves true with the 2016 Traverse. The vehicle’s 3.6-liter V6 unit is one of the few SUV engines that can deliver both power and excellent efficiency. The system can pump out 281 horsepower and 266 pounds-feet of torque, and these numbers are increased to 288 and 270 (respectively) when the vehicle is partnered with a dual exhaust. As a result of that power, drivers can expect the Traverse to haul up to 5,200 pounds (when the vehicle is equipped with the proper trailering package). Despite all of this power, drivers can still expect the Chevy Traverse to deliver a 15 city/22 highway mile per gallon efficiency, numbers that are generally on par with the rest of the segment. Of course, considering all of that power and the size of the vehicle, drivers are going to need to rely on a number of safety features as they adjust to their new SUV. Luckily, the 2016 Traverse offers a number of preventative and protective safety features that should keep all of the passengers safe and secure. The StabiliTrak Electronic Stability Control System (with Traction Control) ensures that drivers will never accidently lose control of their vehicle, whether it be due to road conditions or an operator error. Furthermore, the Side Blind Zone Alert and Rear Cross Traffic Alert will notify the driver via audible and visual warnings when it’s unsafe to switch lanes or reverse. The Forward Collision Alert serves a similar purpose, warning the driver when they’re approaching a stationary object at too great a speed. Luckily, if the driver does find him or herself in an accident, the Traverse’s high-strength cage should keep everyone in one piece. The LATCH system (Lower Anchors and Tethers for Children) will keep your younger occupants secured in their seats, and the six standard airbags (including side-impact air bags) will provide enough cushion for those up front. In the event of an emergency, OnStar’s Automatic Crash Response will connect you with an OnStar Advisor, who can use your vehicle’s GPS to send emergency personnel to the crash site. We’d say Chevy more than delivered on its promise regarding the Traverse. The SUV has continued to maintain several of the attributes that have been praised since its introduction: an efficient and powerful engine, plenty of cargo room, and an unmatched exterior and interior style. Of course, there were some factors that these Chevy executives failed to mention, like an advancement in technology. Recent inclusions, like the brand’s MyLink infotainment system and OnStar’s RemoteLink key fob, help put the Traverse on another level. We never doubted that Chevy would deliver on those promises made back in 2008. If anything, it’s reassuring that the brand is committed to delivering the same attributes they touted more than eight years ago.